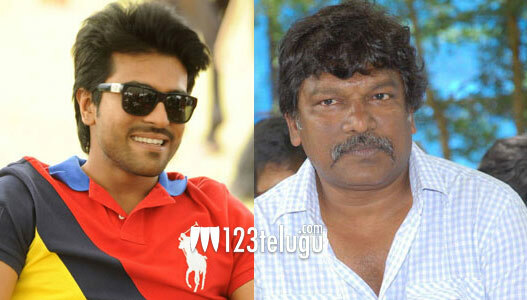 Ram Charan is all set to join the sets of Krishna Vamsi’s upcoming film on February 6. Bandla Ganesh is going to produce the film and Srikanth will be essaying a key role. This untitled film is said to be a complete family entertainer and since it’s the first time Ram Charan is teaming up with Krishna Vamsi, there’s a lot of curiosity about what sort of subject the film is going to deal with. Kajal Aggarwal is playing the lead role opposite Ram Charan in this film. Responding to a question on his Facebook page, Ram Charan said, “Kajal and I share an amazing working relationship. She’s also one of my best co-stars on screen as well.” Incidentally, the duo had earlier teamed up for Magadheera, Naayak and she has played a cameo in Ram Charan’s upcoming film Yevadu, which is slated for release on January 12. Thaman is going to score the music for this family entertainer. More details about the cast and crew will be revealed soon.